Since Blogger.com is owned by Goo.gle, Hence..
Google Wants You to Embed Youtube Videos in their sites. I will accept one video per gig. For Additional Benefit Please buy Extra Gig of $5. I will add your Spinnable article (you need to provide me spintax text) with upto 3 backlinks in each article. 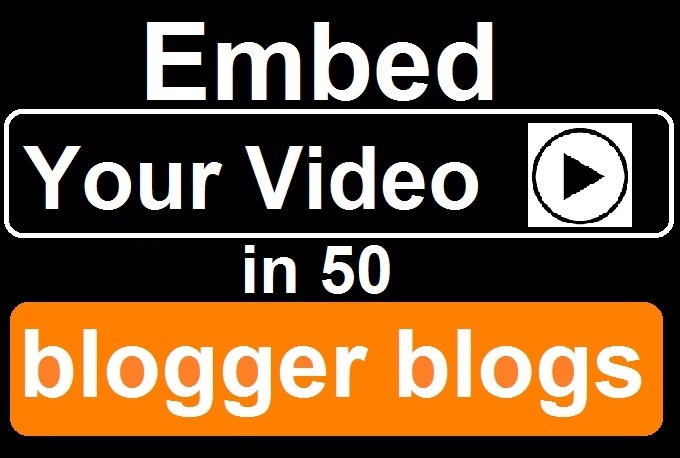 embed your Video in 50 Blogger Blogs for Instant Google Love is ranked 5 out of 5. Based on 268 user reviews.